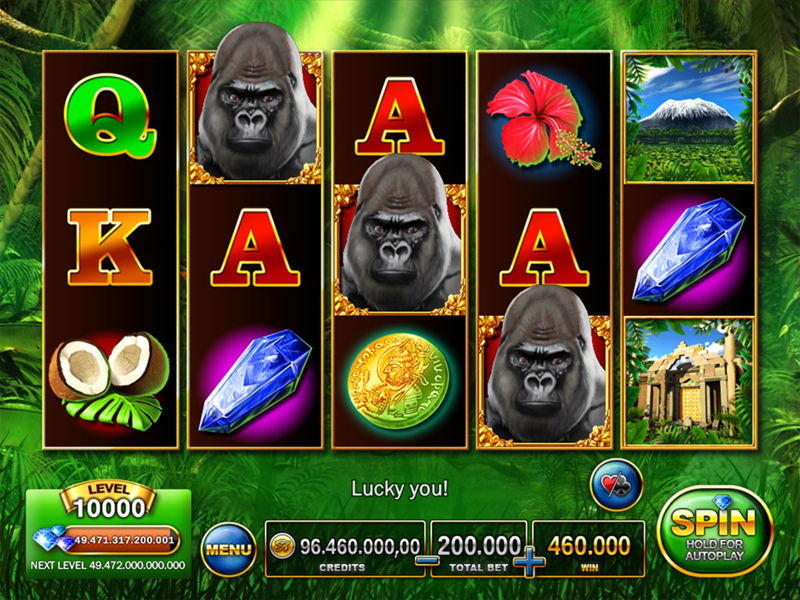 The mighty Gorilla invites you to unravel the mysteries of the deep jungle. 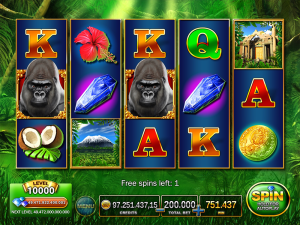 Find 2 exciting bonuses on 25 win lines! 3 “Temple” symbols trigger this bonus. Click on the “SPIN” button to spin the wheel. 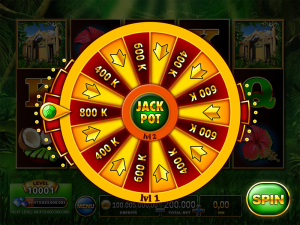 Get an arrow to advance to the next level until you hit the amazing Jackpot! 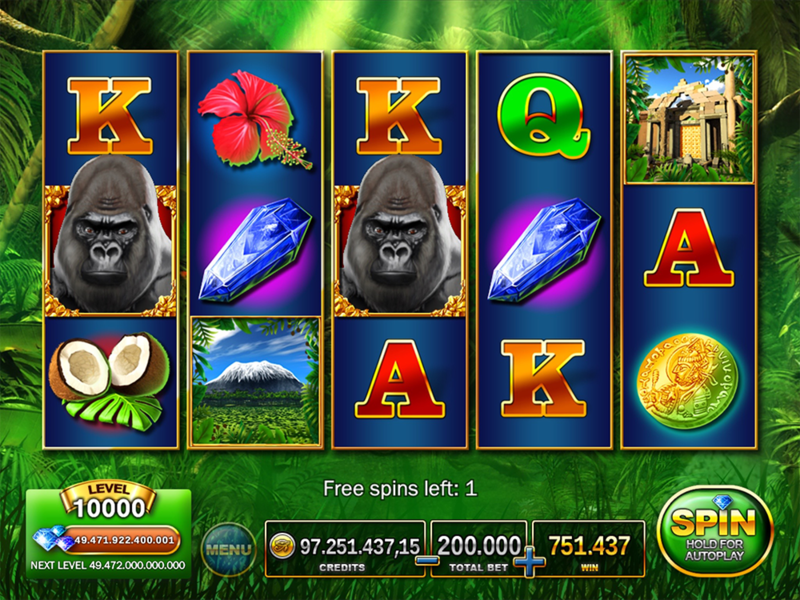 3 “Mountain” symbols trigger 10 free spins with re-triggers and bonus triggers on special reels! A higher bet awards more diamonds! Play maximum bet to unlock all slots fast!